Tulkoff Food Products is a third generation, family owned business, that started in Baltimore in the 1930’s. The company quickly evolved to become the nation’s largest producer of horseradish products for the food service industry. 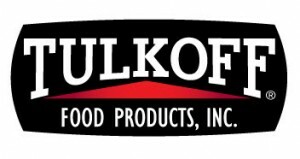 Over the years, Tulkoff grew as a food manufacturer and expanded its product line and distribution network. Today, Tulkoff’s product selection includes ginger, garlic, pesto, scampi butter and many more specialty sauces. Tulkoff also co-manufactures for numerous national brands and entrepreneurs as well as produces specialized products for many national restaurant chains. Tulkoff Food Products recently committed to energy improvements which will potentially save the firm 20-25% off their energy bill. Tulkoff Food Products is a member of the Maryland Green Registry and has been recognized for their commitment to reducing energy consumption and finding ways to provide long term sustainability and financial savings to the company. Their green team has representation across employee levels at the company and offers incentive based campaigns to engage all staff in the process. Join us to learn more about Tulkoff Food Products sustainability success, and enjoy the opportunity to network with other manufacturers and share resources available to help manufacturers grow and thrive in Maryland.